#theteacupseries winner or should that be .... winners? 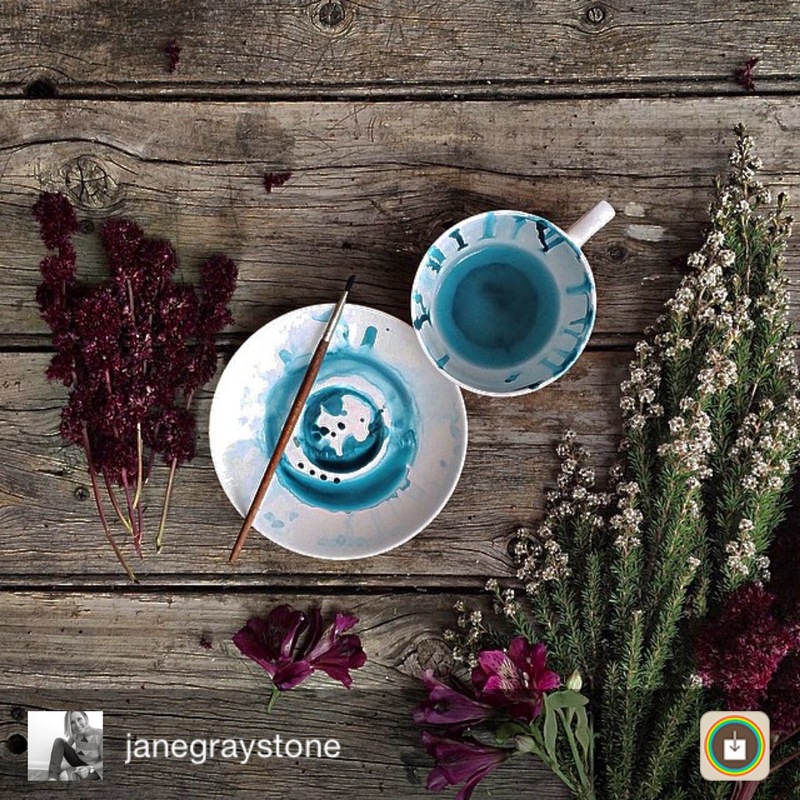 Those who joined in with the #theteacupseries challenge on Instagram this month will know how tough the winning choices will have been for judge, Gill Weavers @mudbird_ceramics, who co-hosted the competition with me. Gill is, of course, more than qualified to judge photographic competitions having been a photographer herself for some years. So after browsing and browsing and um-ing and ah-ing, Gill decided that the entries were so good that she chose to give not one, but two prizes. painted with those divine colours"
And the second 'surprise' prize of a teabag tag, goes to @fourcornersdesign- Amy Duncan. "This image grabbed my attention right at the very beginning, it has such a depth and story behind it, almost like a painting. I thought the subtle colours were just beautiful and the ticket in the cup perfect. This needs to be framed." 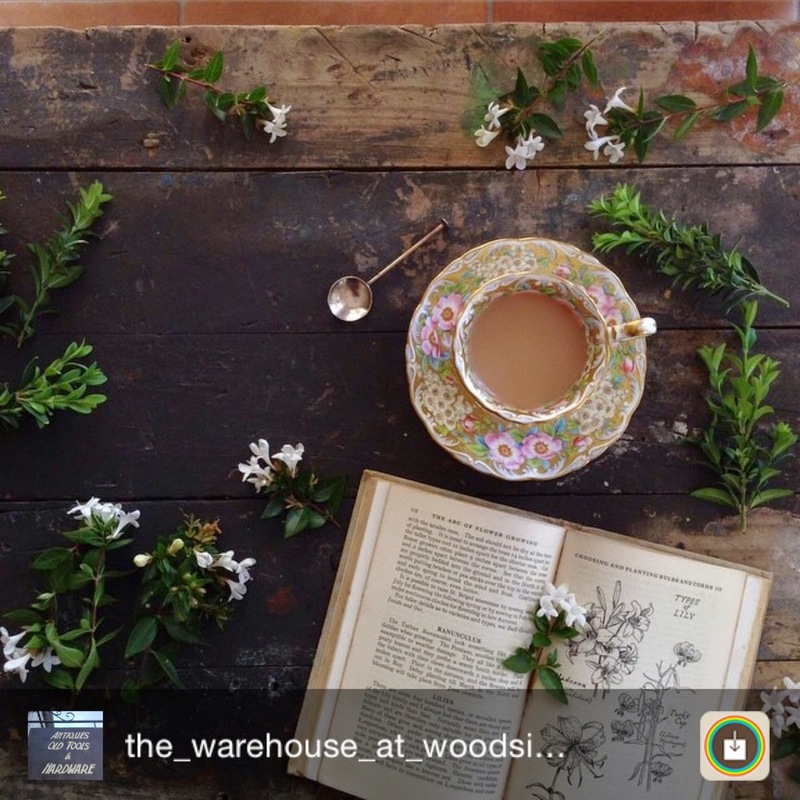 "I love the juxtaposition of this image from the darkened old wood to the delicate jasmine flowers and teacup set, drawing your eye around the image. All arranged with the fresh green leaves and botanical book. Just lovely. 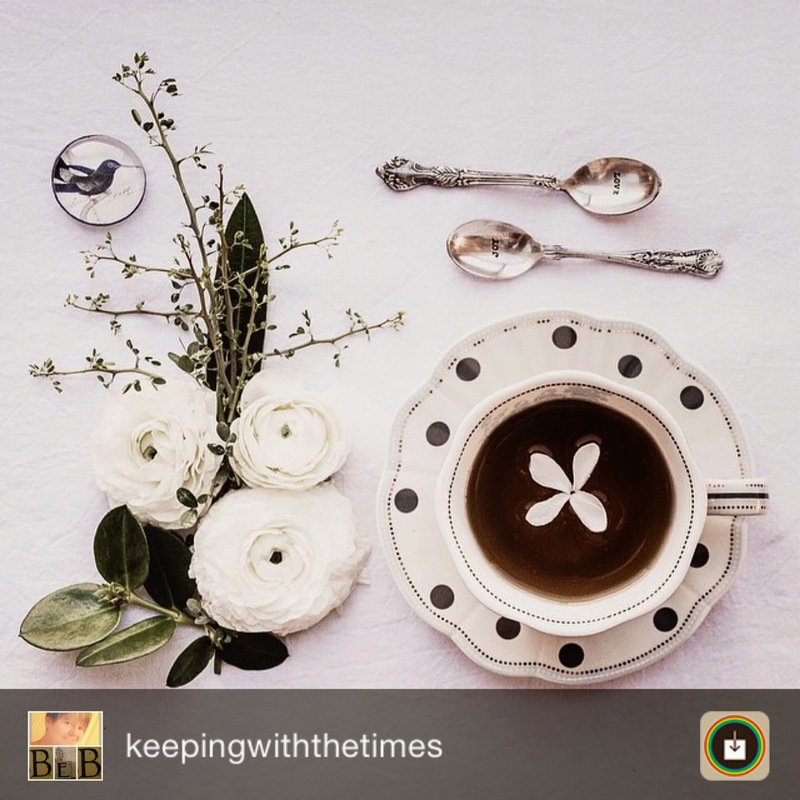 "I thought the teacup and saucer, Julie chose for this image is perfect. 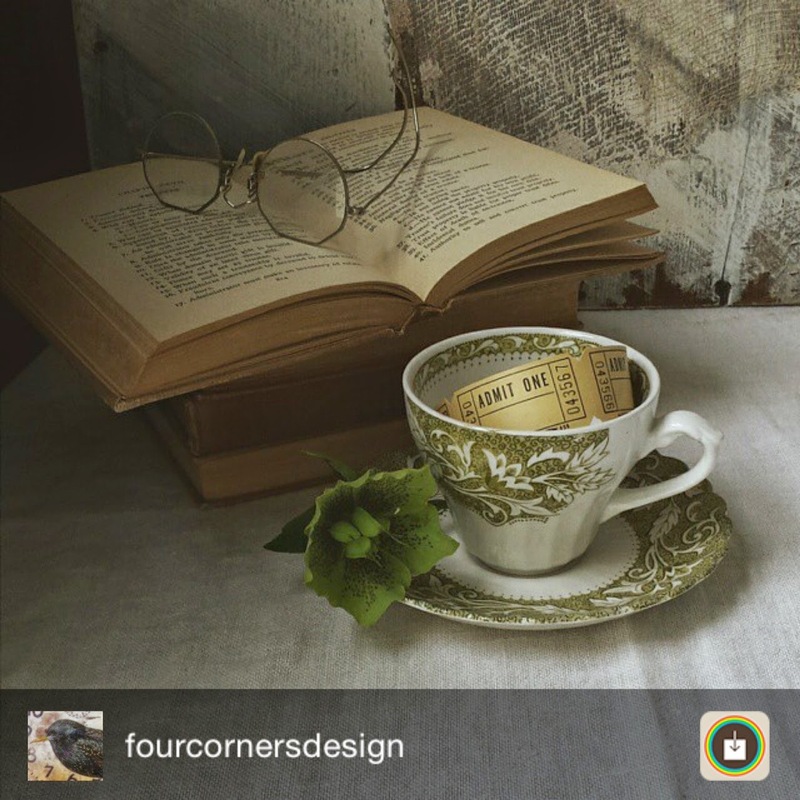 The book, lighting and even the remnants of the tea look perfect...well done, I love it. "The image is so different to the others, white on white isn't always so easy to master. I thought it was so well planned and composed with a bright but subtle colour palettes that was spot-on with gorgeous details like the spoons and bird button. Barb had a few delightful entries." "The pop of beautiful aqua blue drew my eye to this image right away. 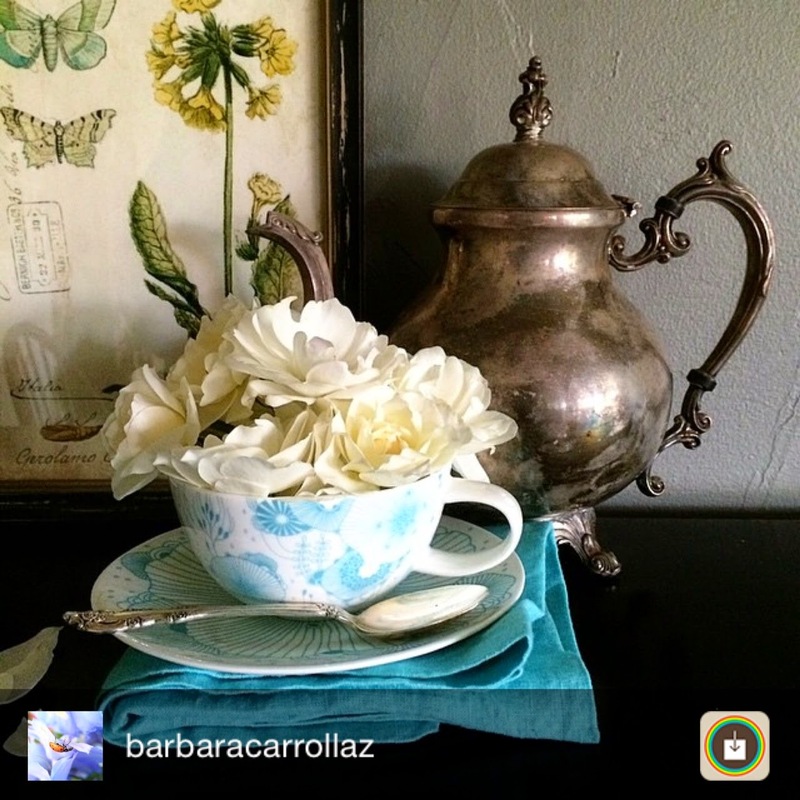 Beautiful layers of colour, gorgeous China against the antique silver pot. The details are lovely as is the lighting"
Well done to you all and hope you had fun participating. Look forward to seeing all your entries next month! Meet my April collab, Gill Weavers, a super-courageous women. Gill is a wife and mother and talented ceramist who started Mudbird Ceramics in 2008. Gill and her family have lived through the most terrifying earthquakes in Christchurch over the last four years. In some parts of Christchurch and where Gill Lives, the intensity of the earthquakes shook the ground so violently that liquefaction occurred. What that means is that soil particles below the surface were so tightly squeezed that it made the soil take on water-like properties. This concoction then bubbled up from below ground, turning houses into islands, ruining gardens, properties and lives. Huge back-breaking clean ups ensued. But no sooner had they been completed and there would be another earthquake and another liquefaction event. This occurred again and again. Through all this adversity, Gill stood resilient and turned a disruptive disaster into a creative opportunity. She played with the silt and marbled it into the clay of her products naming the product line, Emerge - the Liquefaction Silt Range. On top of all of all this upheaval in her life, with a family to look after and continuous earthquakes to endure, Gill continued to be creative and generous too. Last year she took part in Samantha Dunne's Creative Exchange project. I was lucky that Gill was allocated my name. And so I received the most beautiful gift box of items - each and every item carefully selected and creatively presented. What a talent! What's more is that I got to meet her when she visited Auckland soon after - we clicked immediately and chatted away. It was amazing to catch up with her and hear her life story and find out about her creative journey. 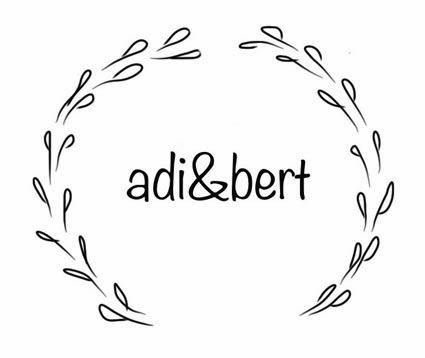 So thank you Gill for collaborating with me to judge this month's @adiandbert challenge and to provide such lovely prizes for the winner. To view Gill's products visit her Felt shop (like an NZ Etsy shop) at http://felt.co.nz/shop/mudbird - Gill also generously donates 30% of her profits to Christchurch charities. The prizes that Gill is offering are below - a tea bag tag (but not the jar!) and a star ornament from her Emerge range. Competition closes midnight, Sunday 19 April 2015. 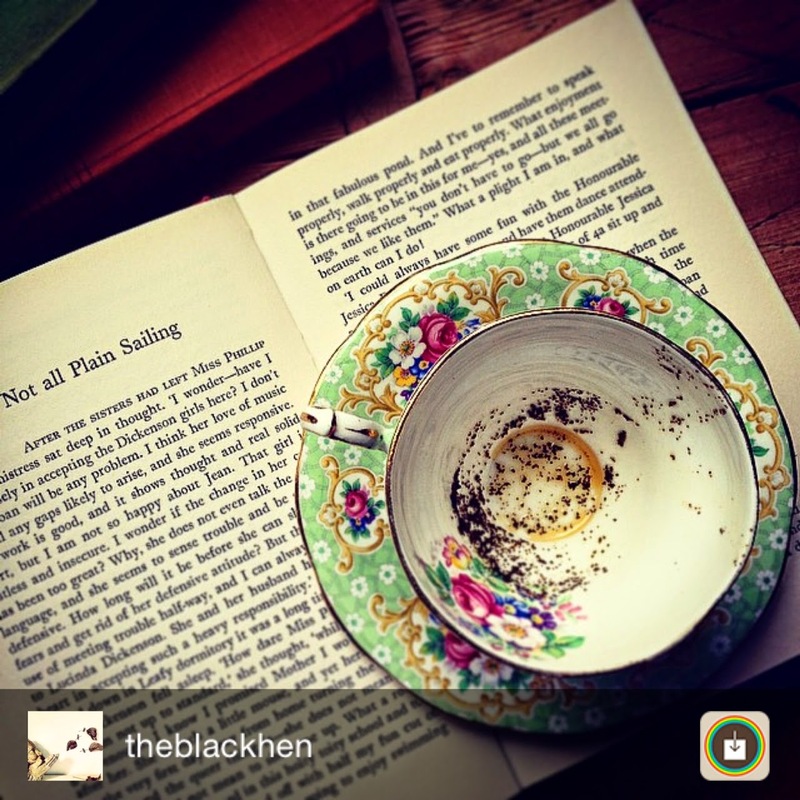 It's time to put on the tea - see you on Instagram !